I feel closer to my wife, relaxed and enjoying life. How could three nights make such a big difference? 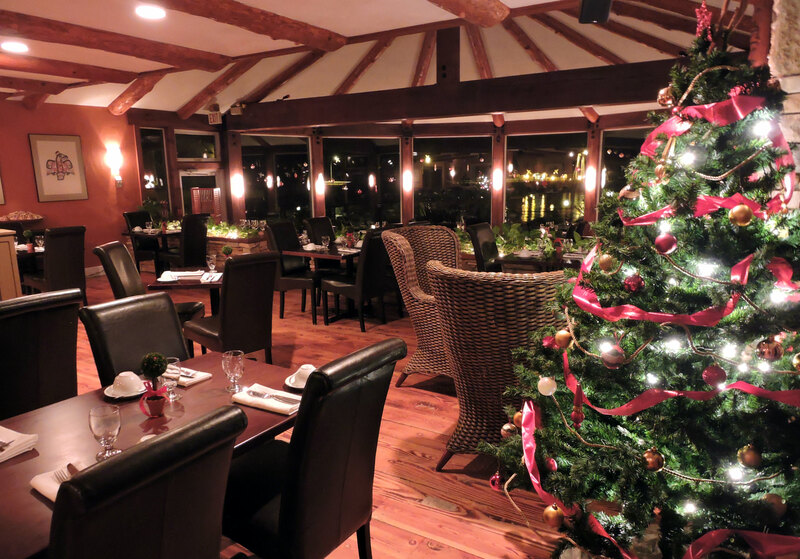 Christmas is in full swing from Christmas school plays, family and friends visiting, taking in the island holiday events like the Magic Of Christmas at Butchart Gardens in Victoria to the live performance of ELF at the Chemainus Theatre. Christmas is all around us and life is full and it is good. But sometimes it can all be a little too much…exhausting, really. Don’t get me wrong, I love my kids and all the excitement of being a family man. But sometimes I just miss being with the love of my life. Alone for more than just a moment before someone needs one of us. I admit it, I can never get enough time with my wife Gretta. Yes, I’m addicted. So much so that I jump at any and all opportunities to get away just the two of us. It’s an amazing feeling to be away from life’s distractions and take a little time out together. Especially when you can getaway on an island escape to a boutique resort! The Gulf Islands feel like a world away. It’s hard to explain, but Galiano Island is like an oasis, a secret oasis protected from the noise of the world. This was exactly what we were looking for on our quiet romantic getaway. Even though we were just an hour ferry ride from the metropolis of Vancouver or the vibrant city life of Victoria, both seemed a lifetime away. 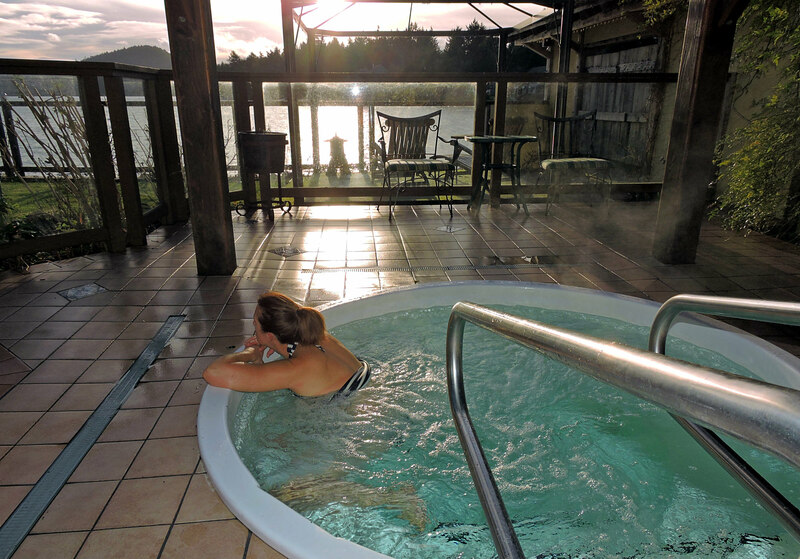 That’s one of the perks of choosing Galiano Inn & Spa for your getaway. You get to enjoy one of the most beautiful float plane or ferry ride destinations in the world. The beauty was outstanding as we made our way zig zagging through the Gulf Islands. Steps away from the ocean, panoramic unobstructed ocean views with a full kitchen, spacious living room, bedroom, bathroom, okay who am I kidding? The whole suite was spacious and luxurious. My favourite spot though was actually not what was inside but what was outside our suite. An extension of our indoor living room was our own private outdoor patio complete with outdoor furniture, built-in BBQ, a floor to ceiling wood stove fireplace and a two person spa therapy tub! 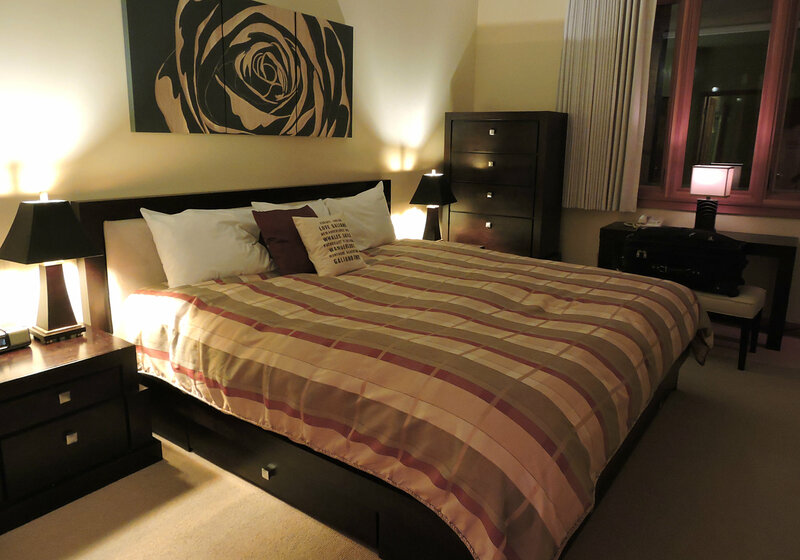 Everything about our suite was so comfortable we sometimes had a hard time leaving! Word to the wise – watch out for the multi-spray massage shower. Let’s just say if you turn the wrong knob you will get quite the exhilarating surprise. I found the helpful instructions later on in our stay. Check out the 360 degree tour of our oceanfront one bedroom villa. Food, glorious food. I had a hard time pacing myself. 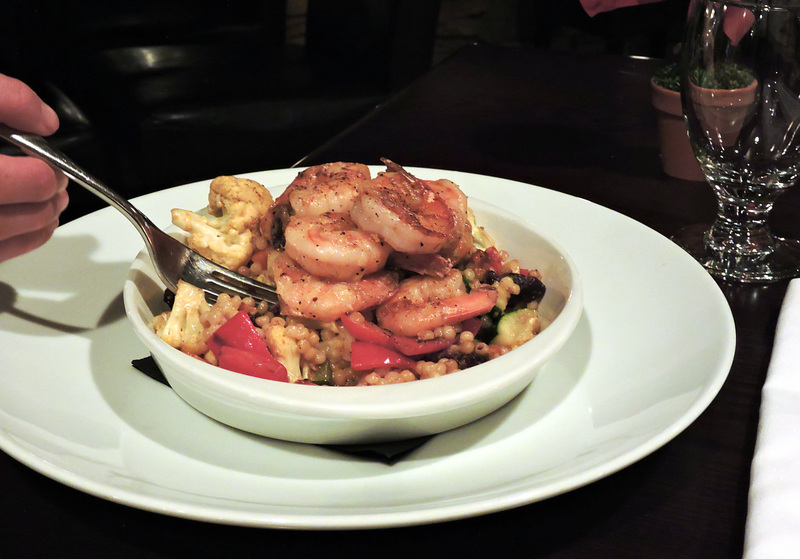 From appetizers, to main course and then to dessert, we enjoyed it all. 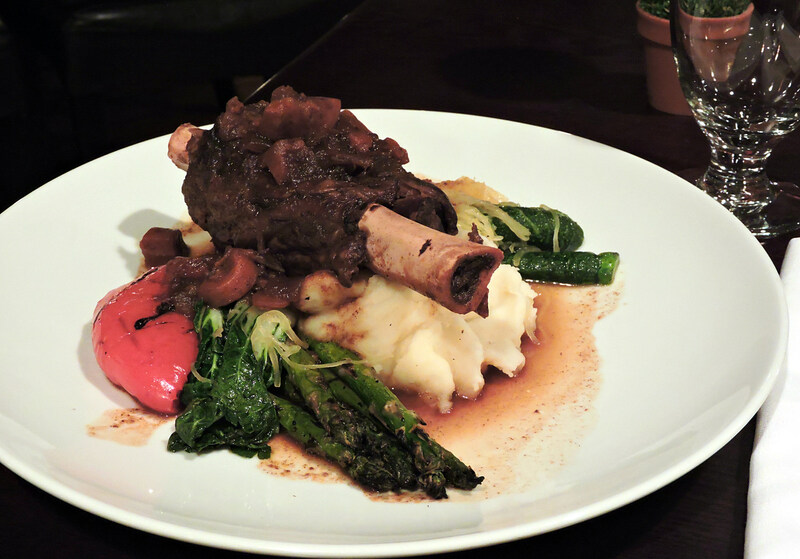 Twelve hour braised lamb, steak sizzled to perfection, shrimp, savoury salmon and even rabbit…we found our pallets more than satisfied with the delicacies from the kitchen. With a natural wood interior, fireplace and Christmas all aglow, we sat in blissful retreat and ate to our heart’s content. 4. We Saw A Grey Whale While Hiking! It’s not every day you are out hiking down a trail and you look over your wife’s shoulder and see two massive grey whales surface out of nowhere! Literally that’s how it happened. We were just about to leave the beach and there she was right over Gretta’s shoulder. Surreal is the perfect word to describe the whole experience. We’ve seen otters and seals before but never a whale sighting. But those are the kind of special surprises Galiano Island can throw your way. Hiking, kayaking, motor boat rentals, whale watching tours, moped rentals, beach hopping and many more activities are awaiting the active adventure island traveler to Galiano Island. A trip to the spa is almost always a good idea. At Medrona Del Mar we delighted to take relaxation to the next level. With many unique couples options to choose from, we found ourselves in a luxurious eucalyptus steam room followed by a mineral flotation soak and ended with an unforgettable healing earth mud rub for two. 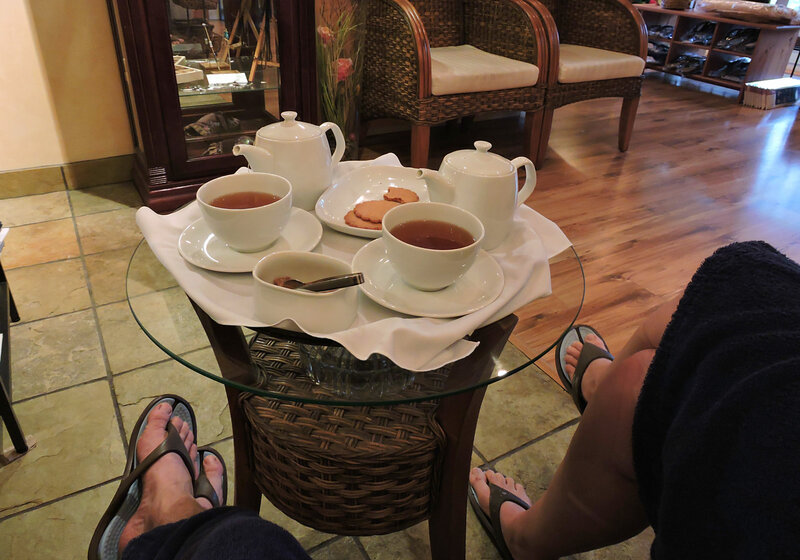 The spa is professional, yet lacks the uppity elitism of many spas. Gretta was sound asleep in our comfy king size bed so ‘Mango’ our Golden Retriever and I went for the best morning walk. Sun shining and glistening over the water and the sound of waves with the pitter patter of my golden beside me down the dock. We loved having our pet with us on our getaway. The uniqueness of Galiano Inn and Spa stood out to us right away. The wooden beams, the Italian architectural touches, the railings on the stairs, artwork, everything about this boutique resort spoke of the care and creativity of the owner. You feel the old charm Italian motif the moment you drive through the gates of this beautiful Galiano Resort. The majestic fountain you pass by, the large iron gate you pass through, flower gardens, stone paths and small waterfalls all add to the uniqueness of Galiano Inn. We were there in December when all the foliage was gone and it was still beautiful, I could just imagine the splendour of the Spring and Summer months would bring. 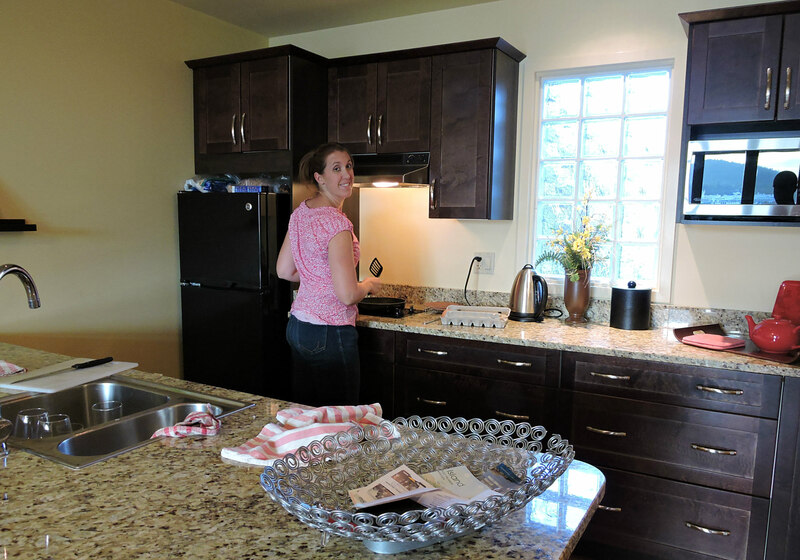 The staff were warm and welcoming and always eager to make our stay extra special. A close knit genuine staff community was evident and it came out in after interaction. It was quite refreshing. Sometimes I find on the island hotel staff at these types of resorts the staff can act a little too comfortable and the professionalism is completely lost. Not so at Galiano Inn. 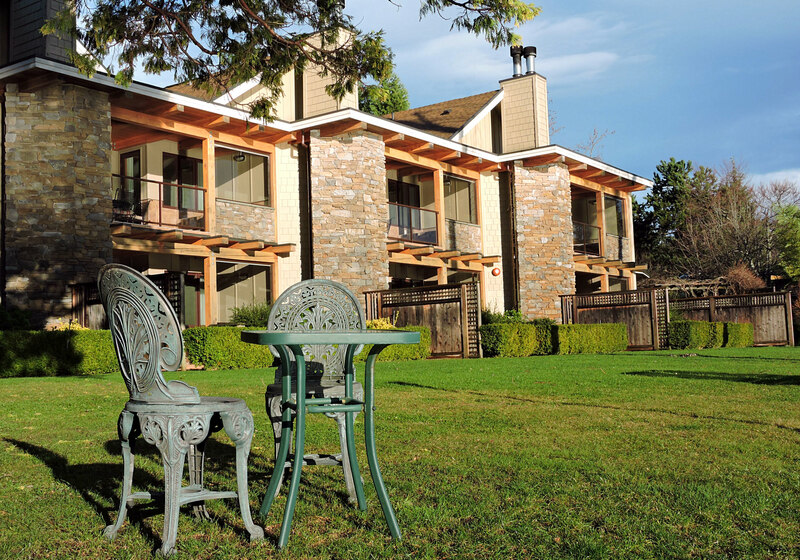 For current rates, availability and more info, visit Galiano Inn and Spa on their website. • If it’s really important to have heated tile in your suite, be sure to mention that at the time of booking as some suites do not have the heated tile working. • Money saving tip #1 – Walk on the ferry in Vancouver or Victoria and you can and save on ferry costs. Galiano Inn is a two minute walk from the ferry. They even have smart cars for rent if you want to go for an island excursion. • Money saving tip #2 – While the summer season is an incredible time to visit Galiano, try the non-summer months for a better rate and less crowds. 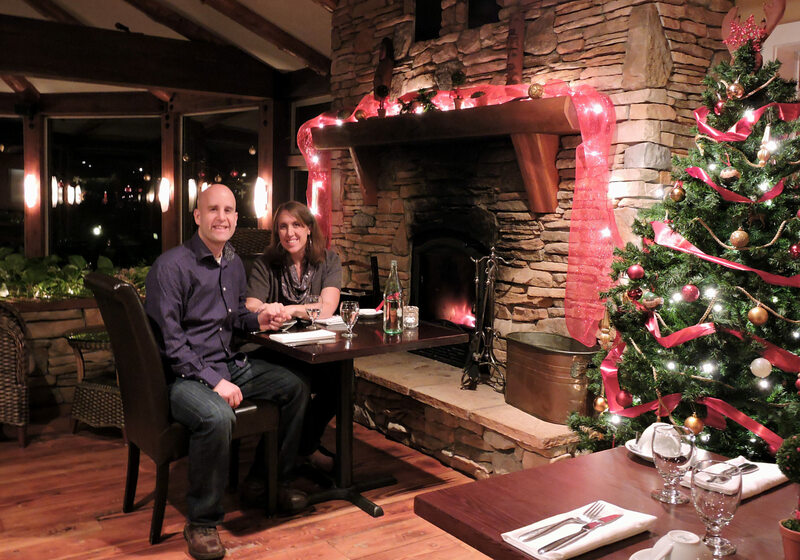 We went in December and the quietness of the resort and personal service was exceptional. • Every unit is on it’s own water heater… so plan your hot water use wisely when having a date night in the tub or your special evening could run short. 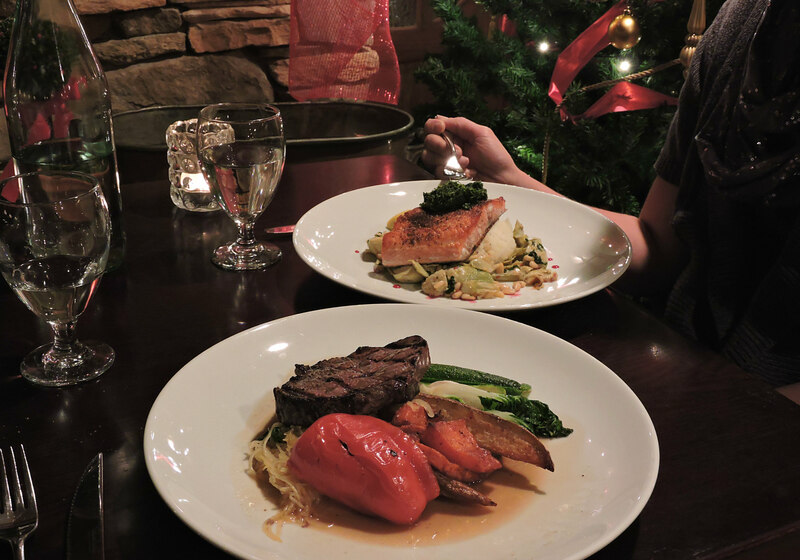 • If you aren’t feeling like dining in your suite, or at the on-site Atrevida restaurant, try the pub down the road within walking distance or if you want a hidden gem try “Babes In The Woods”. Go for the food… not so much the atmosphere.